Well, it’s happened. After months of debating, I’ve finally screwed my courage to the sticking point and signed up for Great Cakes Soapworks Challenge. Amy Warden of Great Cakes hosts a monthly contest, providing a theme, guidelines, pour parameters, and an instructional video for those unfamiliar with the month’s pour. 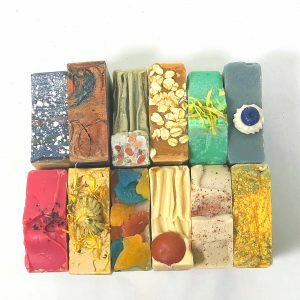 There are some amazing soapers that participate in this challenge each month, and being a noob in the artisan world, I have been hesitant to throw my name in with such heavy hitters. 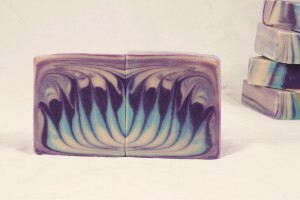 When Amy announced the theme for this month’s soap challenge, however, I knew that I had to participate, if only to get access to some pro-tips for a pour I’ve had difficulty mastering. This month’s challenge is swirl based – the Taiwan Swirl, to be precise. To be uber-precise, the Circling Taiwan Swirl. 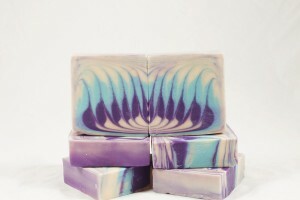 This is a process involving three or more colors striped in a mold and then skewered and swirled in a specific way. The end result is supposed to be a lovely interior swirl, as well as 2-4 Lotus Blossom end pieces. When done right, it’s truly a beautiful pour. First up, I commissioned some stainless steel mold dividers from Mr. 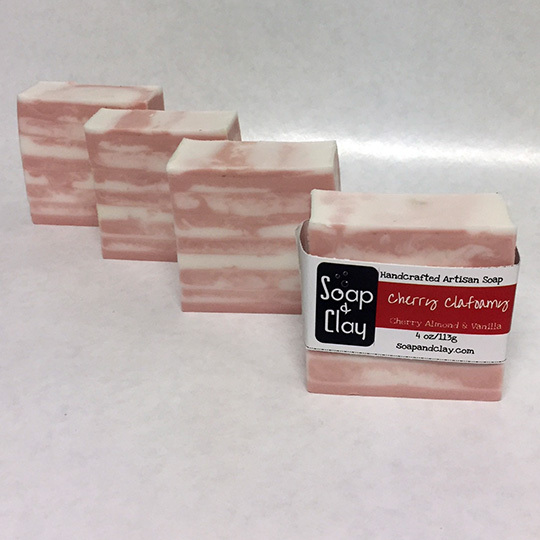 Soap & Clay. I’ve had success using cardboard dividers, but as this was for a competition batch, I thought it a perfect time to take advantage of one of my husband’s many skill sets. Next, I needed to decide on a color scheme and scent. I’ve been sitting on a delicious mint blend for some time and decided that this pour would fit the bill. 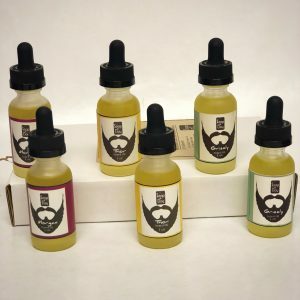 To enhance the scent’s intricacy (and to further fit the intricate pour), I blended it with a bit of ripe blackberry to add a bit of sweetness to the crisp and refreshing mint. Check out those dividers! Mr. Soap & Clay is handy with the stainless! 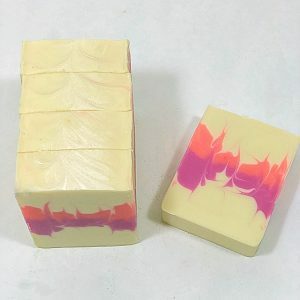 After pouring the colored soap into each slot, it was then time to remove the dividers. This can prove more difficult than it sounds. Up and out of the mold as quickly as possible works best. I finally got to move on to the fun part: the skewer. 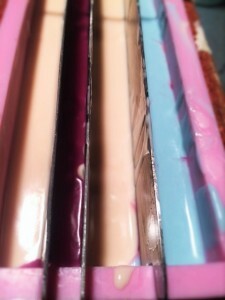 Taking a chopstick, I ran perpendicular to the divided soap, skewering the width down the length of the mold. I then ran the perimeter of the soap 6-7 times to pull the pattern in one direction, thus achieving the “circling” bit of the Taiwan Swirl. Clear as mud? Great! 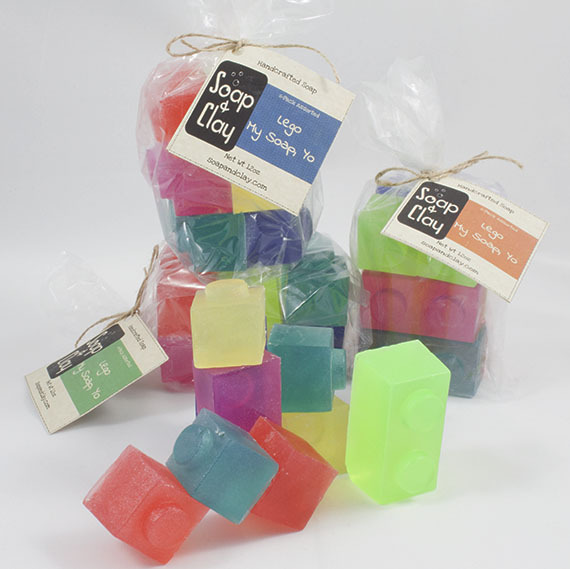 I then popped the soap into the oven for a nice warm cure to make sure the soap gels and the colors really popped. A few days later, I cut into this beauty. I separated the log into four blocks, which I then cut horizontally to expose the pattern within. And what a pattern! 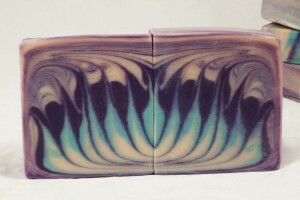 The lotus blossom actually appeared on both ends of my soap. I think. Honestly I’ve been staring at the swirl for so long that my eyes have gone crossed and I’m seeing lotus blossom tracers in my vision. Lotus blossom? No? Octopus? Upside down Jelly fish? Maybe it’s abstract. Squint your eyes and tilt your head to the side. The interior swirl was also quite lovely. Here it is on the wifi soap dish. Momma Soap & Clay has embraced the 21st century. All in all, I’m very pleased with the result. 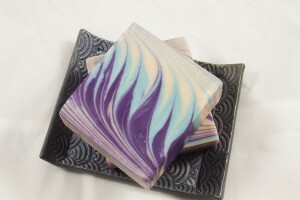 This was a great way to up my soap game, and I am officially hooked on the Taiwan Swirl!